Human rights lawyers, journalists, campaigners, NGOs are gathered in room at the Palais de Nations in Geneva for a discussion on 'Western Persecution', with WikiLeaks founder Julian Assange. Also speaking at the event are Spanish judge, Baltasar Garzon, as well as Maria Fernanda Espinosa, Ambassador and permanent representative of Ecuador to the UN in Geneva. Also taking part in the meeting are independent expert, Alfred de Zayas, journalist and founding member of The Intercept, Glenn Greenwald, and Eva Joly, Green Party member for the European Parliament and former French judge. 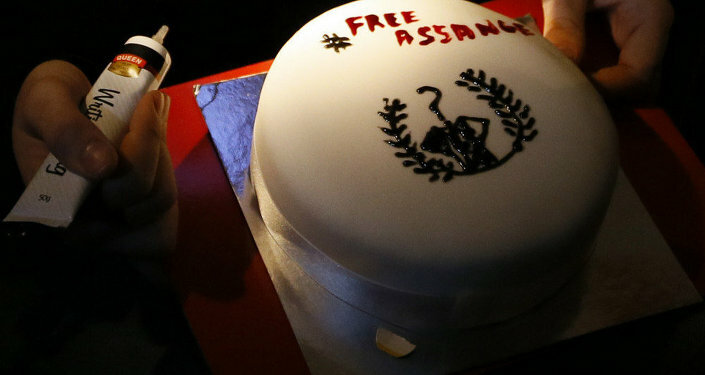 Expressing shock that Sweden has left WikiLeaks founder Julian Assange imprisoned in the Ecuadorian Embassy in London for over 1000 days without charge, Eva Joly is calling for a new institution for whistleblowers, a foundation to compensate their sacrifices. Judge Baltasar Garzon also expresses his concern that WikiLeaks lawyers and journalists have been spied on. "Julian Assange is detained because he is a journalist who exposed abuses of power and corruption." 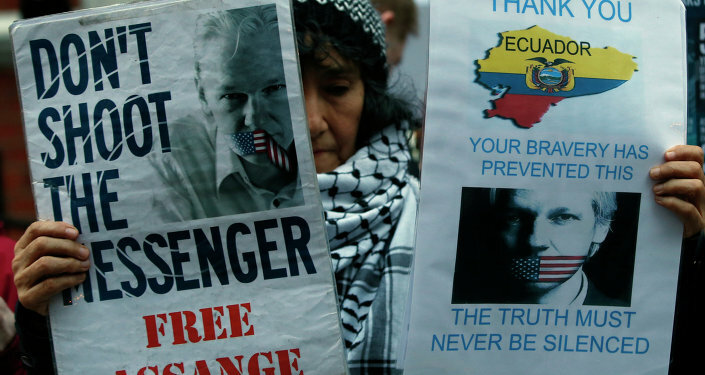 According to social media, Assange, who is taking part in the meeting via video-link from his room in the Ecuadorian embassy in London says that the "only person sentenced for torture in Guantanamo is the person who disclosed it, John Kiriakou." In an exclusive interview with Sputnik News, following his release from jail, former CIA agent John Kiriakou revealed what life is like as a former whistleblower. Kiriakou, who had high-level security clearance, had access to files detailing US torture methods at Guantanamo Bay, which he leaked. He said torture by the CIA "was official US policy". Kiriakou is the only CIA employee to be sent to jail in connection with the US agency's torture programme. He was charged with violating the Espionage Act for revealing to the media and the public that the US was torturing prisoners in the 'War on Terror'. Kiriakou served two years in prison — he is now serving the remainder of his sentence at his home in Virginia, United States. Kiriakou told Sputnik News that his life changed. He was fired, his friends stopped talking to him and were unknowingly investigated by the FBI for three years. "If you're in national security, there's absolutely no protection," Kiriakou said. "You have to really give this a lot of thought before you decide to go public because everything in your life is going to change." Kiriakou said the government uses The Espionage Act "like a hammer."
. @evajoly at #HRC28 "When you see what happens to whistleblowers, you see that the reality is the one of State violence". "The Espionage Act was passed in 1917 to stop German saboteurs." "It's antiquated. It wasn't meant to prosecute people who talk to the press. It's meant to prosecute people who commit treason against the United States by selling or giving classified information for gain," he told Sputnik News. Meanwhile at the meeting on 'Western Persecution' in Geneva, Maria Fernanda Espinosa compared US mass surveillance with the decadence of the Roman Empire.